For newcomers to the digital world, the SEO acronym comes from “Search engine optimization” which means natural positioning of a website in search engines. 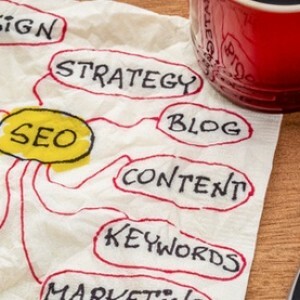 I must say that in recent years what are considered best practices in SEO have changed a lot, and here who has taken the lead in this “party” was Google with its algorithm changes to avoid a series of actions that allowed many websites of questionable quality, position in the top positions in searches. – Panda (2011): First big algorithm change in the beginning to penalize duplicate content from some sites, content that were unrelated to the title of the web and reward those sites that users recommended. – Hummingbird (2013): This is very recent and is to reward more the context that own keywords sometimes therefore try at all costs that those pages well positioned to provide value to users. 1 Fret and much of your content: Mira to generate original content in a suitable web context and to provide real value to users. 2- Watch out for the links! : Before to get the largest number of better links but now had better be few but they make sense in context and that the origin is web pages with strong relevance. 4- Balanced use of keywords: no longer use it anywhere and put them in bulk in any content because “that positioned in SEO”. The keywords must make sense, they used a number of times reasonable and in the context it touches. 1- Preliminary study of the market and competitors: this topic you propose that you take a look at the Benchmarking 2.0: what you can learn from your competitors on the internet”. Planner Google adwords keyword: You will see if these words are much or seek. 3- Build correctly your web architecture: To be found by Google spiders need a coherent web structure seeking to align in the same domain strategy, “Title” (title of the web) and the most relevant keywords. That is the basis, and then there are more factors that influence. 4- Strategy “off page SEO” (out of your page): Here you are going to focus on finding quality links to relevant websites. You see, the SEO world has its peculiarities and you need to be a little day to not carry out practices that can penalize you in positioning your website. 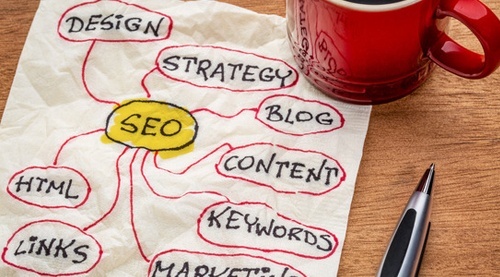 What are for you the most important elements for a previous SEO strategy?